As yet another decade comes to a close, I have to say that this year has been one of the toughest I have faced in my own life. Full of economic uncertainty and chaotic frantic decisions, I am happy to see it end. But parallel to the unpleasant reality of 2009, there was a brightness on screens worldwide, with films that dazzled, wowed and won their ways into my heart. This clearly won’t be a Ten Best list, there is one that made the list by the skin of its teeth, in terms of release date… So, watch on! In January, I was treated to not one, but two amazing films, while visiting my beloved Bombay. Oh, and to those who wish to write in and ‘suggest’ I call the city by its other Hindu-centric name Mumbai I say NEVER! Deal with it, Nina will continue to call it by the only name that makes sense for the Maximum City, even if I don’t particularly like the author of the book. But that’s a whole different story and I digress. 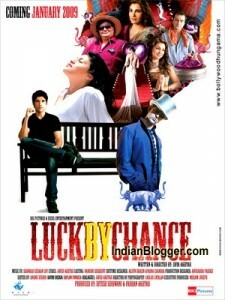 So, first came ‘Luck By Chance’ directed by Zoya Akhtar and starring her thinking-woman-hunk of a brother Farhan Akhtar, as well as Konkona SenSharma. Got to the posh, VIP screening on the back of an auto rickshaw with beloved film director and writer extraordinaire Anurag Kashyap, stepped out of the dusty auto with my hair tangled by the dust of the trucks hitting the unpaved roads up by Film City, to meet face to face the then couple of the moment Deepika Padukone and Ranbir Kapoor, coming out of their A/C black SUV, all coiffed and untainted, she in a spotless white sheath dress. But the film turned out to be a wonderfully new experience, a truly heroine-centric film, with an unconventional ending, not to mention great snacks at intermission, and a face to face meeting between yours truly and Indian cinema superstar Shah Rukh Khan. All in all, a magical evening and a wonderful movie. It is now what I watch when I need to believe in the true strength of a real woman. Available on Netflix. During the same sojourn, AK decided to hold a special screening for his then upcoming ‘Dev.D’ a modern retelling of the classical Bengali tale of Devdas, with hints taken from contemporary news headlines, as well as unconventional actors, led by Abhay Deol. Finally a story that was written by a real writer, Kashyap, whose career has continually included penning many, many hits. Just check out IMDB for the complete list, it’ll surprise you. Anyway, sitting among his best friends and favorite people, not to mention within groping distance of hunk Kunal Kapoor -- I know, my taste is quite simple, just give me yummy handsome anyday! -- I watched what would easily become my favorite Indian film of all times. New, fresh and solidly written and acted, ‘Dev.D’ is quite simply a must-see on any list. Also recently became available on Netflix. February saw the limited -- very, very limited -- release of book-to-screen Italian film ‘Gomorrah’ an insider’s look into the world of the Camorra, the Neapolitan mafia which is a familiar and scary part of any Neapolitan-blooded man or woman. I’m one half Neapolitan, so the idea that these guys, and women, are up to no good isn’t a new concept for me. Oh, and BTW, the story is such an insider’s POV that the author of the book -- Roberto Saviano -- is still in hiding, constantly watching over his shoulder, under constant police protection. 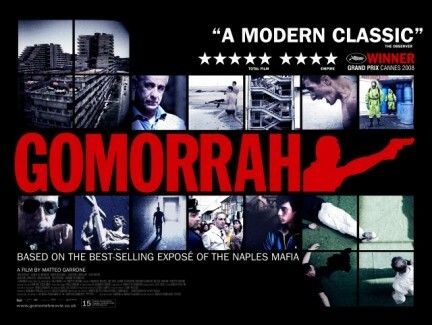 And if you think that by living in the US your life isn’t touched by the Camorra, think again?! Why do you think it has taken this long to rebuilt the site at Ground Zero, here in NYC?? If the answer isn’t immediately apparent to you, I suggest you watch the film. It’s not particularly violent, but more crude than anything else. A good lesson in how to treat the Italians. Not joking. I asked my Chinese architect, who thought he could pull the wool over two little Italian ladies’ eyes with our store project, to watch it. You’ll understand why when you rent it from Netflix. At different times throughout the spring and summer, I saw three different and very fabulous independent films. The first is ‘Unmistaken Child’ about one man’s quest to find the reincarnation of his Lama and mentor in a toddler in Tibet. A true to life documentary, the film follows the journey of Terzin to find the next reincarnation of his master/mentor Lama Konchog. For more on the film, check out The Ajnabee review. Since the film is still traveling around the world, it is not currently available for rent but you can buy the DVD on the film’s website. 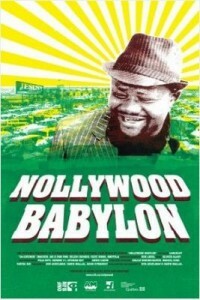 The third in this documentary trio of favorite hits -- and mind you I am not big on documentaries, typically, as they don’t allow me to get lost in the story -- is ‘Nollywood Babylon’ a well shot and insightfully told tale of the industry of filmmaking in Lagos Nigeria. A place that gives new meaning to pirated DVDs, it is definitely a land to watch and learn about now that the latest guy to try and blow himself, and a US airplane, up comes from Nigeria… Not a great claim to fame for the country, of course, but a wonderful film directed by two very talented filmmakers living in Canada. A must-see. Check all their websites by clicking on the title of each film for latest updates. 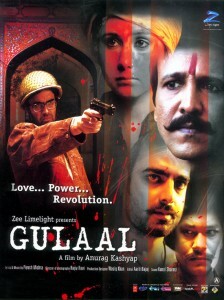 Again back to Anurag Kashyap, an honorable mention is ‘Gulaal’ truly his Shakespearean Ouvre and a wonderful film tragedy all around. I loved the music, the actors, the story, the subplots, the hints, the scenes and the theme. Mesmerizing film, another must-see of modern Indian cinema. Then, in November I saw Lars von Trier’s ‘Antichrist’. Not the kind of film I would choose to go and see, I had a friend in from out of town who insisted he wanted to go and I bought us tickets. He’s a calm, gentle and warm soul whom I knew would be the perfect seat partner for such a disturbing film. I got to the theater -- IFC’s in NYC -- early and read all the reviews posted outside. 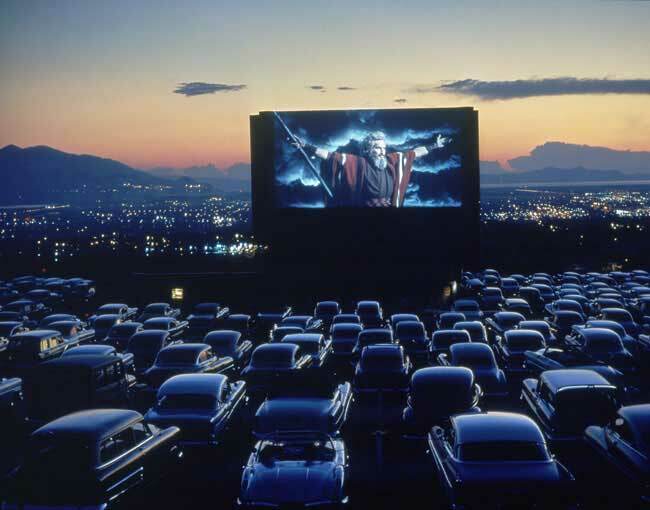 One advised against viewing the last twenty minutes of the film and reassured the viewer they would not be missing out on the brilliance of the film by doing so. As the power tools came out, I got up and went to the toilet. Stayed in the lobby for another five minutes, leisurely strolled back in, sat next to my composed friend, turned to him and watched the rest of the film on the reflection in his glasses. Needless to say, I missed the gore and the yuck and totally LOVED the film. It was one of those movies that stayed with me for months. I still think about it, proud that I actually had the courage to see it. Last but not least, there is a film opening in India on December 31st that makes this list by the skin of its teeth. It’s Saurabh Shukla’s ‘Raat Gayi, Baat Gayi?’ which roughly translates to ‘Night Came, What Happened?’ and deals with a one-night-stand that maybe happened. Only the femme fatale knows for sure, and she’s not giving it away too easily. Starring Rajat Kapoor and Neha Dhupia, the film is a mature love story, a totally contemporary tale set in modern Bombay and features one of the most touching performances by both Kapoor and Dhupia. It will be available in the US on DVD sometime in Mid-January. Till then, read my review and I’ll leave you with the trailer. Happy watching and Happy New Year! This entry was posted on Thursday, December 31st, 2009 at 11:58 am and is filed under Films 2 See.